Child Support matters are usually straightforward when addressed correctly and efficiently. Yet, when left unattended or handled poorly these straightforward issues may escalate into a host of complicated and potentially costly issues. 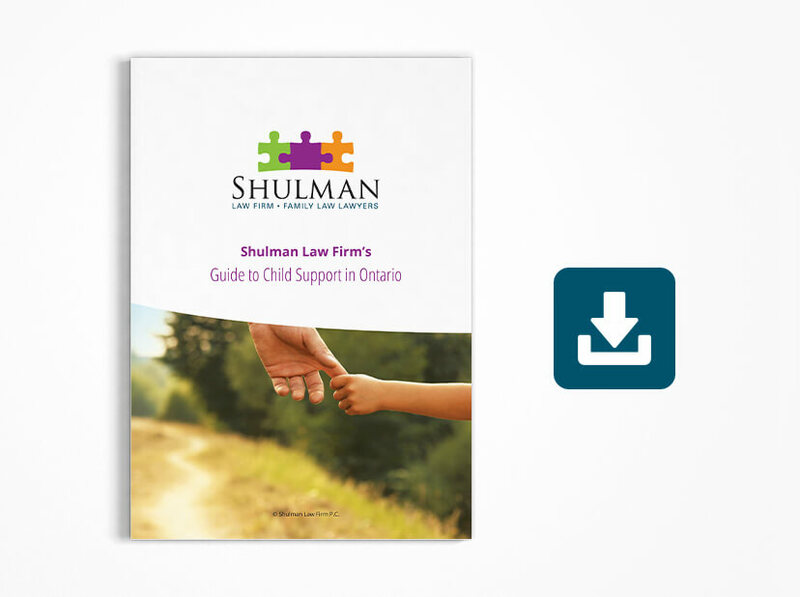 While the Child Support Guidelines establish the base child support payable in Ontario, a significant number of legal issues can affect both the amount due and the date of termination. Custody arrangements, child contributions, undisclosed income and claims of financial hardships are just a few examples of potential variables that may impact child support settlements. This issues and others that may arise will need to be addressed efficiently and effectively. If you are dealing with a child support issue, please come and speak with us. Our initial consultation is free of charge. One of our lawyers will meet with you, review your case, discuss possible strategies and work with you to develop the best course of action. The first step to resolving your case begins with meeting with our lawyers and developing a clear course of action.